Take to downtown Overland Park streets and back-country Kansas roads alike with the new 2018 Honda Accord. This new Honda sedan is truly a game-changer, as it comes with a spirited and eco-friendly powertrain, advanced technologies and standard safety systems that will keep you well protected at every turn. Plus, the new Accord has been named the 2018 North American Car of the Year,1 providing you with an award-winning Honda sedan. Compare the 2018 Honda Accord to the 2018 Ford Fusion, then head to our Honda dealership near Overland Park, KS. Head out on your next morning commute to the office or evening adventure with friends from behind the wheel of the new 2018 Honda Accord. The new Accord beats out like-minded sedans like the Fusion, as it not only comes equipped with greater horsepower, but it also earns up to 38 highway mpg,2 a number the Fusion simply can’t reach. 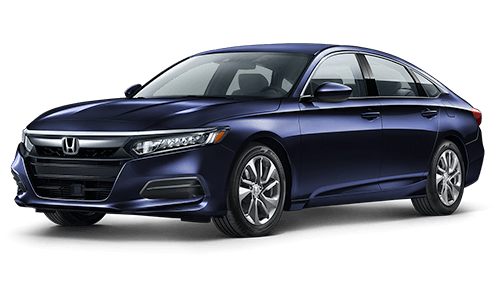 Upgrade Honda Accord trims to include the available Honda Satellite-Linked Navigation System™ with Voice Recognition and Honda HD Digital Traffic, and you’ll never get lost again. Plus, no matter where your next journey leads, you’ll enjoy priceless peace of mind thanks to standard Honda Sensing®. This comprehensive suite includes access to Forward Collision Warning, Collision Mitigation Braking System™ and more. 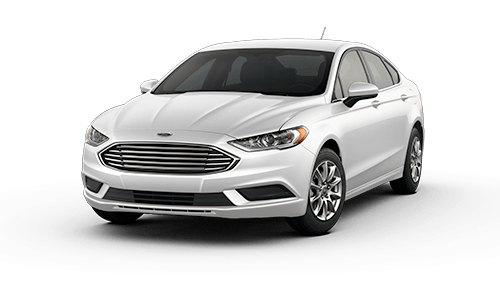 And in the event of an accident, it’s valuable to know that the Accord earned a 5-Star NHTSA Front Passenger Crash Test rating;3 the Ford Fusion only earned 3 stars with the same exact test. See why drivers everywhere are turning to the 2018 Honda Accord and Dare to Compare the new Accord sedan to its competition. Head to our Overland Park Honda dealership and test-drive the 2018 Accord today! 1 The all-new Accord has been named 2018 North American Car of the Year. Packed with a host of advanced technologies, a spacious and premium interior, turbocharged engine and Honda Sensing® standard, it’s the most impressive Honda yet. 2 30 city/38 highway/33 combined mpg rating for 1.5T LX, EX and EX-L models with CVT. 26 city/35 highway/30 combined mpg rating for 1.5T Sport models with 6-speed manual transmission. 29 city/35 highway/31 combined mpg rating for 1.5T Sport and Touring models with CVT. 22 city/32 highway/26 combined mpg rating for 2.0T Sport models with 6-speed manual transmission. 22 city/32 highway/26 combined mpg rating for 2.0T Sport and Touring models with 10-speed automatic transmission. 23 city/34 highway/27 combined mpg rating for 2.0T EX-L models with 10-speed automatic transmission. 47 city/47 highway/47 combined mpg rating for Hybrid models with E-CVT. Based on 2018 EPA mileage ratings. Use for comparison purposes only. Your mileage will vary depending on how you drive and maintain your vehicle, driving conditions and other factors. 3 Government 5-star safety ratings are part of the US department of transportation’s new car assessment program. (www.safercar.gov) Model tested with standard side airbags (SAB).